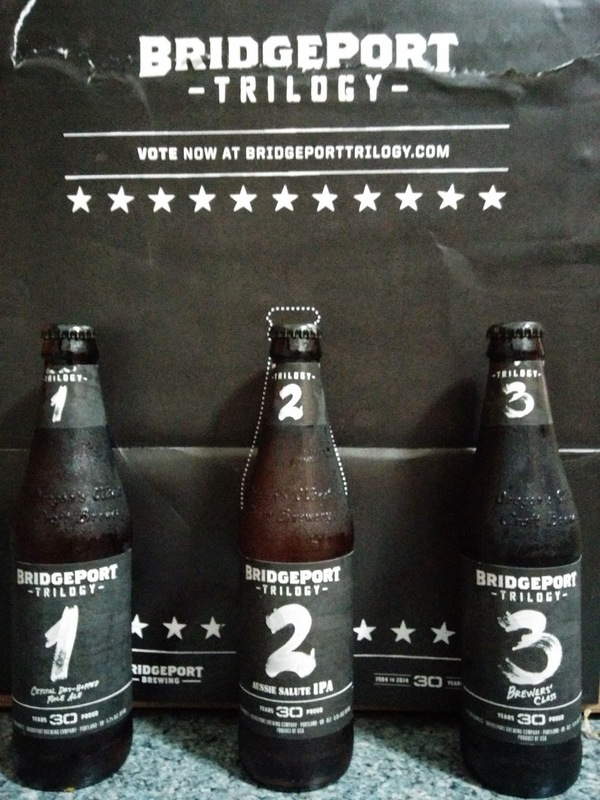 In case you didn't know Bridgeport is asking the public to vote for their favorite of the Trilogy Series beers at bridgeporttrilogy.com and the beer with the most votes will become a year long offering from Bridgeport. If you haven't had 1 or 2 in a while you're in luck. Bridgeport has come out with a 12 pack including three of each of the trilogy series and three of the award winning Bridgeport IPA. So cast your vote now and have your say in what beer becomes a year around beer. The dream of a better tasting beer was born in portland, ore. It was the perfect storm - inventive brewers, crystal clear glacial water, barley grown in neighboring cities and most importantly, fresh aroma hops as far as the eye could see. We celebrated our three decades of brewing the best way we knew how, by brewing three new beers. Now it¹s up to our fans to vote for their favorite and the winning brew will return as a year-long offering in 2015. Trilogy 1 Crystal Dry-Hopped Pale Ale: We’re celebrating three decades of craft brewing in Oregon the only way we know how, by brewing three distinctive beers. This dry-hopped pale showcasing crystal hops is beer #1 in our series - made to honor the hop revolution that ignited the craft brewing movement thirty years ago. Trilogy 2 Aussie Salute IPA: Aussie Salute pays tribute to the man behind the BridgePort IPA, Phil Sexton, with a cross continental collaboration between BridgePort's current brewmaster, Jeff Edgerton in Portland, Oregon and Sexton in Melbourne, Australia. In keeping with the IPA tradition of local hops, Trilogy 2 uses Centennial and Chinook hops from Oregon's Willamette Valley but is also influenced by two hop varieties from down under, Galaxy and Ella. Trilogy 3 Brewers' Class: Trilogy 3 is the brainchild of students from the Fermentation Science program at Oregon State University. Their collaboration with our brewmaster created a session-style dry-hopped brown ale with nutty characteristics and piney hop notes.